The George Washington University Museum and The Textile Museum opened in March 2015 on GW’s Foggy Bottom Campus in the heart of Washington, D.C. Focused on art, history, and culture, it unites The Textile Museum’s highly regarded textile collections from around the globe with the Albert H. Small Washingtoniana Collection that traces the founding and evolution of the nation’s capital. The Textile Museum was established in 1925 by collector and connoisseur George Hewitt Myers to expand public knowledge and appreciation – locally, nationally, and internationally – of the artistic merits and cultural importance of the world’s textiles through scholarship, exhibitions, and educational programs. For eighty-nine years (1925–2014), the museum was housed in Myers’s family home and an adjacent building in D.C.’s Dupont-Kalorama neighborhood. 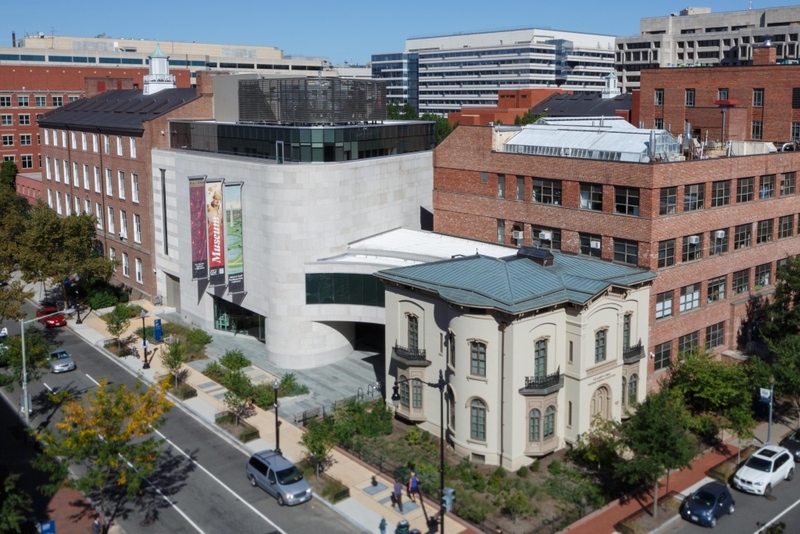 In 2011, The Textile Museum announced an affiliation with GW to create a new museum venture. 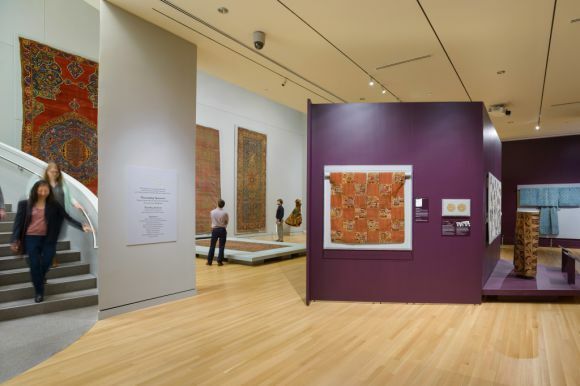 Today, The Textile Museum’s collections include more than 20,000 handmade textiles and carpets representing five millennia and cultures from the Middle East, Asia, Africa, and the indigenous peoples of the Americas. The Textile Museum has one of the most important research collections of ‘Oriental’ carpets, distinguished by both its range and depth; the collections have been built by acquiring textiles of varying dates in order to demonstrate stylistic changes over time. The basic strength of the TM collection lies in its extensive holdings of carpets dating from 16th to 19th century that allows researchers to do comparative study. The collection of 15th century Mamluk rugs from Egypt, Spanish carpets, and classical Indian carpet fragments are matched by no other museum in the world. The Museum has a large collection of Anatolian and Central Asian rugs, and a group of 17th century Caucasian “dragon” carpets and fragments that is perhaps the best collection in the world outside Turkey. A significant group of early carpet fragments is from Egypt and Spain is also in the collection; several of which are dated by inscription to the 9th century. The Textile Museum’s rotating exhibitions, which draw from its collections and loans from other institutions, are internationally recognized for presenting the best in textile art. 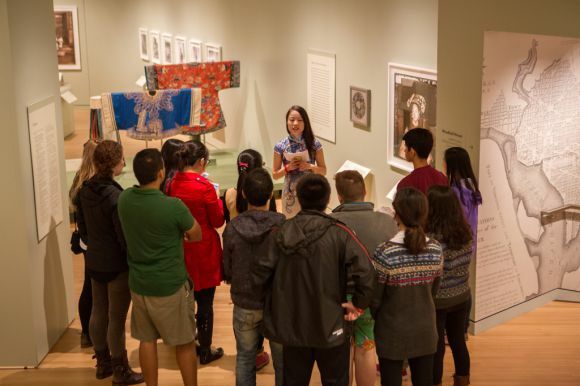 In its new home at GW, The Textile Museum has expanded impact, bringing new opportunities for teaching and learning to the university community and the public. From integrating with the university’s diverse academic disciplines to introducing an ambitious new contemporary art program to training the next generation of museum professionals, the museum is inspiring new audiences to appreciate textiles as art and understand their significance in the lives of individuals and communities around the world.